�	Build, Train and Manage a team of monitoring and Evaluation officers in 2 of the 3 locations for monitoring.
. �	Coordinated with Monitoring and Evaluation officers to ensure timely uploading of YOUWIN Monitoring and Evaluation portal and the submission of monthly reports to the SCHOOL FOR START UPS Project Monitoring Unit. �	Ensured quality service and output by project staff. 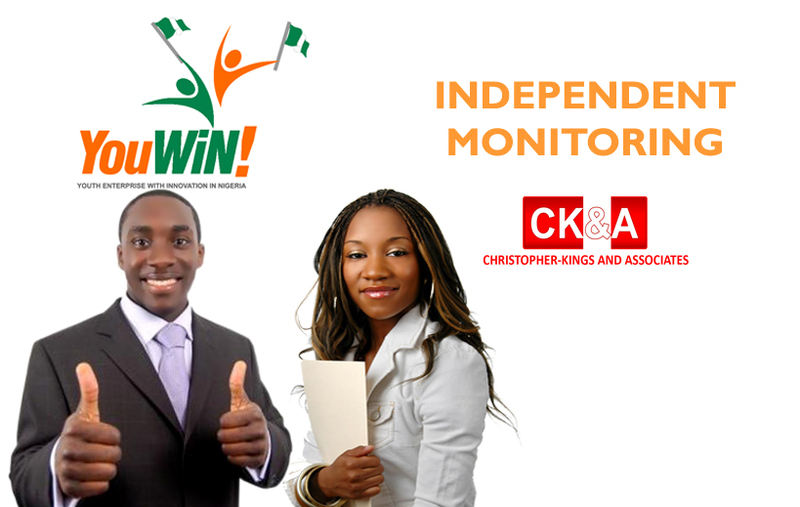 About Project: The project is for the monitoring and mentoring of 40 businesses in Cross River, Akwa Ibom and the FCT under the Federal Government Youwin programme. The job entails periodic visits to these businesses to ascertain their compliance with agreed standards. Role: Independent monitor reporting to School for Start Ups, UK. To be one of the most trusted, ethically -driven consulting firms in our environment. To provide innovative, tailor made consulting solutions to aid our clients maximize their business potential while contributing towards building sustainable businesses in our environment.